The first car that Tesla made was the Roadster, which started life as a Lotus model. That car is no longer available, so the folks from Speed Academy decided to make one for themselves. Though this one is a wee bit more powerful than the original. 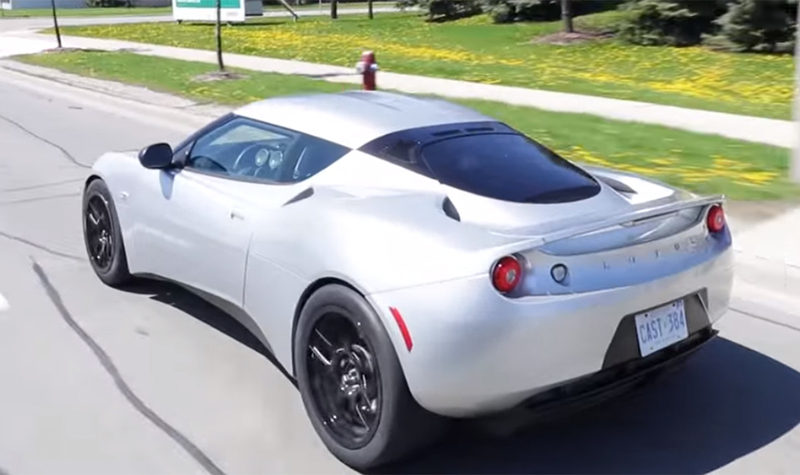 These guys took a Lotus Evora, and managed to cram in the motors from a Tesla Model S. Since there’s not enough room for the massive battery pack from the Tesla, they used a pair of batteries harvested from a Chevy Volt. The result is a very attractive electric car that is road ready and very fast. The electric Evora is dubbed “Blue Lightning,”and it’s currently undergoing track testing. It will eventually get power steering and racing brakes to slow it down, which is most definitely a good idea. Hopefully, we’ll get to see this bad boy racing on a track or dragstrip sometime soon.